Produced by Hotwheels, this is from their ultra highly detailed Elite line. This fan favorite was released after the popular television show "Batman," featuring unusual and exciting vehicles in pursuit of deadly evil criminals. Tying in with the extreme popularity of sportcycles, Batman has inevitably utilized a sportcycle--the Batcycle--in most of his efforts to thwart the forces of evil. 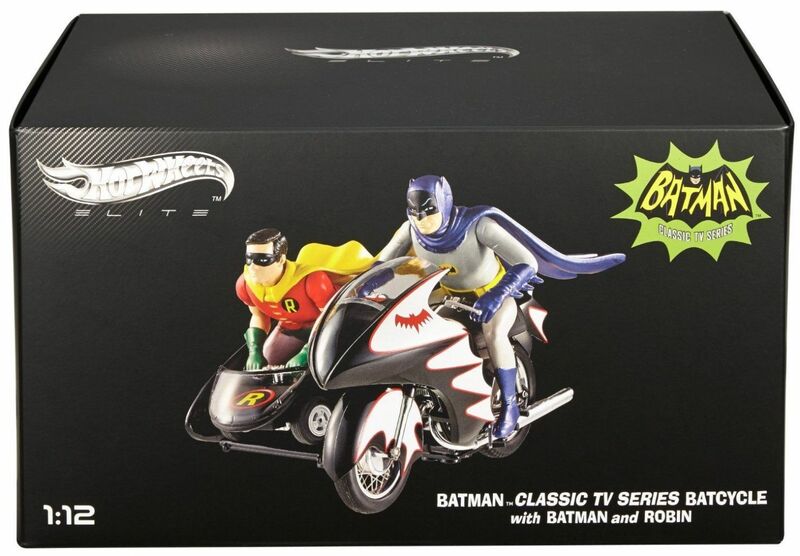 The Batcycle itself is a true showpiece. 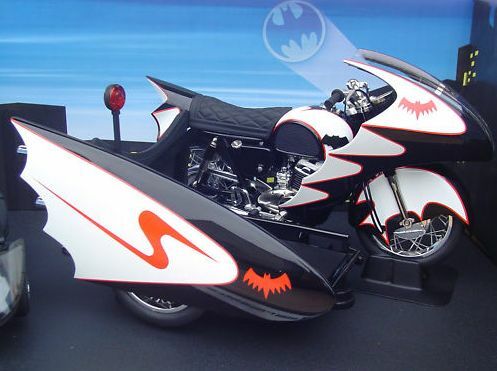 Built from a Yamaha Catalina (YDS-3) 250, the Batcycle features a side car with a portable go-cart resting on it for Batman's invisible aide, Robin. 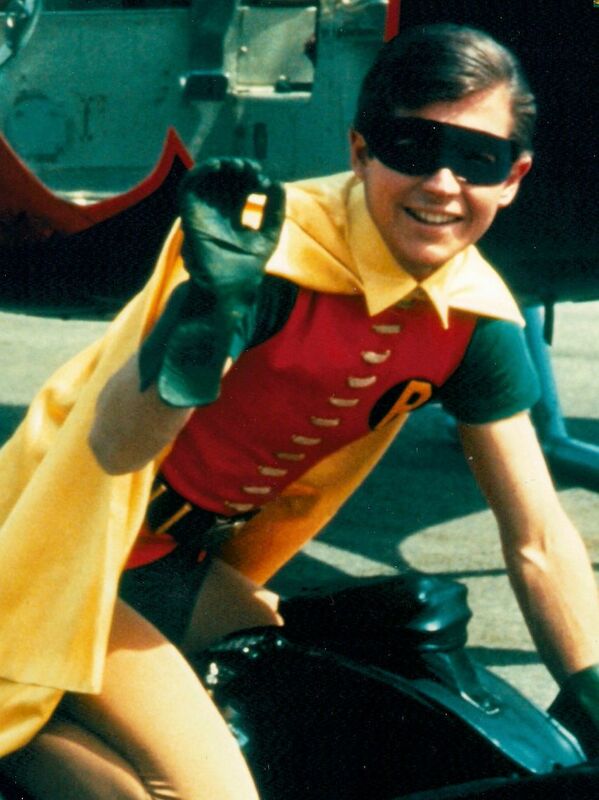 As Batman slows or stops the Batcycle, Robin is propelled off the side car and becomes mobile in his own right in the go-cart. 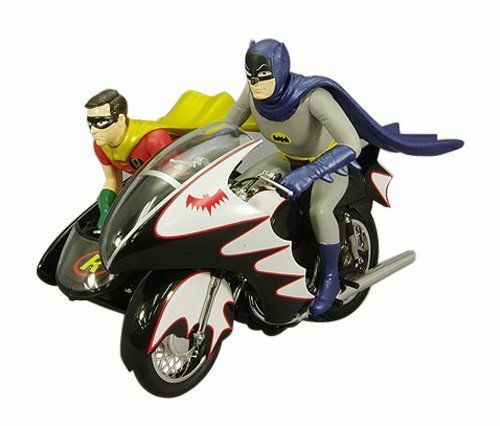 The entire Batcycle and side car are customized in black and white with a batshield molded into the fairing and fender guard. Not only is the Batcycle a hugely modified Yamaha Catalina 250, but Robin's cart, which is an integral part of the Batcycle rig, is powered by a 50cc Yamaha engine. Size: 7". Limited edition of 9,966.